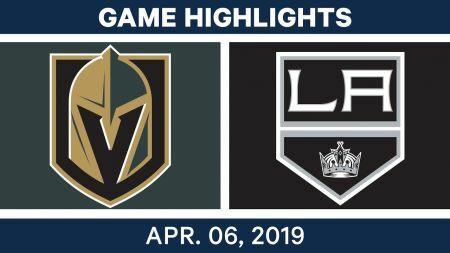 The 2018-19 National Hockey League regular season came to an end on April 6 for the Los Angeles Kings at the Staples Center with a 5-2 victory over their Pacific Division rivals, the Vegas Golden Knights. Unlike the Kings, the Golden Knights are playoff bound. The fact that the Golden Knights have made it to the playoffs in their first two seasons is a significant accomplishment. The Golden Knights will face the San Jose Sharks starting this week. The Kings meanwhile finished their season rather strong, as they posted a record of six wins, three regulation losses and one loss in extra time over their last 10 games. The following are the top four plays from the Kings victory over Vegas. 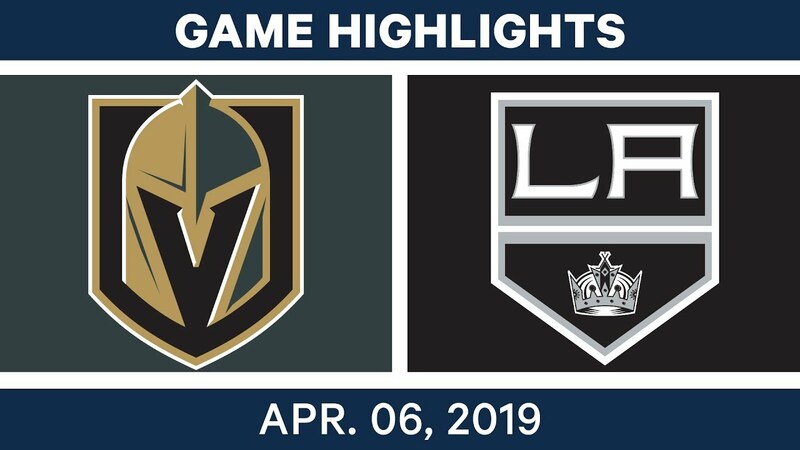 1) Great save by Jonathan Quick--Approximately five minutes into the hockey game, Golden Knights forwards Paul Stastny and Alex Tuch passed the puck impressively between each other deep in the Kings zone. Tuch delivered a shot, but Quick was there to make an impressive pad save. Then, Tuch was able to get another scoring chance, and shot the puck towards the net. However, Kings defenseman Alec Martinez was there to clear the puck from the crease. 2) Kovalchuk scores on the breakaway--With just under eight minutes left in the first period, Ilya Kovalchuk scored on the breakaway to put the Kings up 1-0. The veteran forward took the puck away from Golden Knights forward Valentin Zykov at the Vegas blueline, and delivered exceptional speed and stickhandling skills for his 15th goal of the season. Kovalchuk then scored his 16th goal of the season into an empty net from Anze Kopitar with 55 seconds left in the third period. 3) Excellent persistence by Jeff Carter--With five minutes left in the first period, Kings forward Jeff Carter exemplified excellent persistence right in front of the Golden Knights net. Carter tipped an initial shot from the point by Kyle Clifford. Golden Knights goaltender Marc-Andre Fleury was there to make the save, but then Carter scored on the second rebound to put the Kings up 2-0. 4) Marvelous precision from Matt Roy--At 10:35 of the second period, Kings rookie defenseman Matt Roy rifled a shot past Fleury for his second career NHL goal from Dustin Brown and Alex Iafallo. Roy's goal put the Kings up 3-0 at the time and it turned out to be the game winner.